HCG had become a significant play in the testosterone therapy world and with good reason: it keeps a man from losing testicular volume when on standard HRT (TRT) and be used by itself as HCG Monotherapy to maintain testicular function. Although HCG is a leutinizing hormone (LH) "mimic" and thus bypasses the pituitary and hypothalamuas, it at least keeps your testes in the game. In addition, HCG can preserve one's fertility, both as a monotherapy and even with HRT in many cases. So for men still trying to have kids, it's a nice option. (Sometimes HMG has to be added in as well. See my page on HCG Monotherapy for more deetails.) As of this writing, a Peak Testosterone Forum Poll showed that over 10% of the men on any kind of HRT were on an HCG Monotherapy program. CAUTION: I would argue against some of the higher doses of HCG, especially for older men, due to the fact that HCG is highly stimulatory and has a much longer half life than it's analog LH (luteinizing hormone). You can read about my reasoning in my page The Potential Dangers of Too Much HCG? a) 250 IU Every other Day. This low dosage (for monotherapy) boosted one of our regulars (electrify) up to a T level of 460 ng/dl. Most guys seem to target testosterone levels higher than this. However, his estradiol apparently shot up a bit more and he was even taking some Arimidex, an aromatase inhibitor that lowers estradiol. levels. Notice that he and apparently Dr. Shippen considered the 1,500 IU to be too high of a dose and cut it back to 700 IU. Yet another member wrote that Dr. Shippen likes 500-700 IU per week and rarely if ever over that. This same member (JustAskin) stated that, when he went over 500 IU three times per week, his testosterone would actually drop. This supports the theory that an overly high HCG dosage can actually desensitize receptors or downgrade the Leydig cells themselves somehow. d) 1000-2000 IU 2-3 Times Per Week. Quite a few experts warn against going too high with HCG as they feel it can lead to desensitization or perhaps even actual damage of the Leydig cells. However, it is a controverial topic as I'll show below and I have the subject argued both ways. For example, there are some endocrinological guidelines that recommend 1,000 - 2,000 IU 2 -3 times per week. This is a massive dose from what I have read, but I have seen guys on the forum doing this much. However, if you read the actual paper, it may be indicating that this is not intended as a long term protocol and calls it an "initial regimen:"
SUMMARY: The most common and cautious dosages on the forum seem to be 500-1,000 IU three times per week. HCG seems to stimulate estradiol levels more than standard HRT and thus might be a good option for men with low estradiol. However, for those with normal aromatase conversion, these higher estradiol levels often cause somewhat reduced libido and less than spectacular results when compared with standard HRT. Furthermore, Arimidex seems to be of limited value and libido is often, therefore, not raised as much on HCG Monotherapy. Advantages include better fertility parameters (generally) and increased testicular volume (generally). CAUTION: Some men are concerned that long term use of HCG will atrophy the pituitary. This is because HCG bypasses the pituitary and jumpstarts the testes directly. Studies are lacking, so discuss with your doctor. 2. HCG with Intramuscular Weekly Testosterone Cypionate. 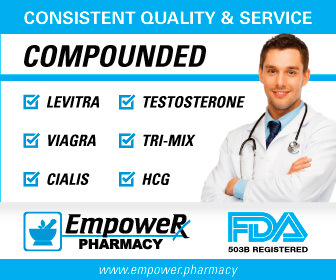 One very common practice at HRT clinics and with anti-aging physicians is to simultaneously adminster HRT (testosterone therapy) and low dose HCG. This is done most often with testosterone cypionate injections. For example, when I was at an HRT clinic, I was taking between 120 and 150 mg of cypionate once per week and 250 IU of HCG twice per week. The timing of the HCG injections was meant to be at the low point, or trough days, and so I injected 250 IU on the day before my cypionate injection and 250 IU the day of. Their are several common reasons for adding low doseHCG to one's HRT regimen, which I have outlined below. NOTE: Some men need to go up to 500 IU twice per week to experience any increase in testicular volume. Maintain Testicular Volume. Without HCG, a man's testicles will definitely shrink if testosterone levels are high enough. Keep the Testes Active. Some men feel that it is more natural to keep the testes functioning and perhaps more safe as well. For example, what if one has to go off of HRT for some reason, such as a DVT or high PSA or stubborn hematocrit? Keeping the testes active may help preserve testicular function, i.e. one's original baseline testosterone levels. Maintain Fertility. There is a urological study that shows, if done properly, HCG can even preserve fertility in many men while on HRT. Increase in Libido. According to my last HRT clinic, about a fourth of men will experience an increase in libido, alertness and energy on low dose HCG. 1) AACE Hypogonadism Guidelines, Endocr Pract. 2002;8(No. 6) 451, "AMERICAN ASSOCIATION OF CLINICAL ENDOCRINOLOGISTS MEDICAL GUIDELINES FOR CLINICAL PRACTICE FOR THE EVALUATION AND TREATMENT OF HYPOGONADISM IN ADULT MALE PATIENTS 2002 UPDATE"